Naoya is a Principal based in the Tokyo/Japan office, and a member of the “Operations Management” Practice. His main areas of expertise are in company-wide strategic planning, corporate management, corporate reform, M&A advisory, PMI, and other issues for trade companies, as well as in the IT and telecom industries. More recently, he has delivered operations and management solutions in the logistics field. Prior to joining Arthur D. Little, he worked as a consultant at companies including Deloitte and a Japanese consulting firm. 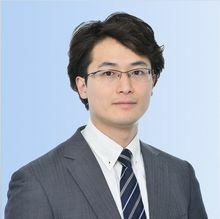 He has successfully supported strategy planning and implementation at major companies in wide-ranging industries, and engaged in sizable transformation projects such as the reform of the logistics operations of a Japanese metal trading company. He also has been acting as a core member of ADL’s new team on 3D printing technology. He holds a Bachelor of Arts in Policy Management from Keio University in Tokyo. In addition to his consulting career, he has been practicing JUDO from three years old.